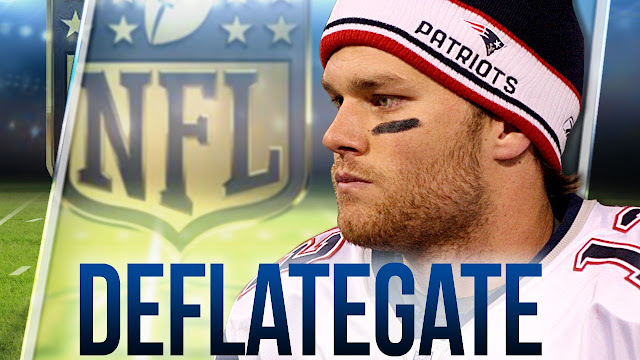 The NFL is testing air pressure in footballs at random games this season in the wake of Deflategate. Before and at halftime of random games throughout the season, 12 balls will be measured and data will be recorded on the possible differences in air pressure. Those balls will eventually be replaced by a set of 12 new balls in the second half of these games. Many have wondered if the NFL will release this data to the public, including Sports Illustrated's Peter King. When asked about it, NFL commissioner Roger Goodell simply said "I don't know." King believes this is because the league doesn't want to give off the idea that they framed Tom Brady. I think one thing I heard out of the league meetings in New York last week disturbed me. Commissioner Roger Goodell was asked if the data from testing air pressure in footballs in random games this fall will be released to the public. “I don’t know,” he replied. In the random games, the league is testing the air pressure of the footballs before the game (as always) and then again at halftime. Officials will log the data, then remove those balls from play. In the second half, 12 backup balls per team will be used, and then those balls will be gauged and the measurements logged after the game. So, about whether the data will be made public, it’s a big mistake if kept under wraps. It has to be made public, or else the public’s going to think the NFL is hiding the results. The NFL can’t simply say, “The balls were in compliance.” Goodell said before the Wells report was released that the league would be totally transparent and we would know what Wells knew when Wells finished the report. So why is this different? I can guess. The NFL wants to reserve the right to not issue the measurements if it makes the league’s case against Tom Brady look bad. I think what I’ve thought all along about the PSI measurements of the footballs: The New England footballs from the AFC Championship Game may have been doctored. But how will we know for sure if we don’t see the measurements from similar games later in this season—games with weather conditions similar to that from the Jan. 18 Colts-Patriots game in Foxboro? And why would the NFL not want to publicize the data from games with the same approximate weather? There is only one conclusion to be drawn: That the league doesn’t want to be shown to have blown the Brady discipline (and the docking of two draft picks and $1 million from the Patriots) by prematurely whacking Brady and the team so hard. Given the way the league handled Deflategate from the beginning, this seems like an incredibly real possibility. We'll probably never know what the truth behind any of this is, but if somehow King is right, the NFL will become more of a joke than it already is.